This is a great book read which is heading for the bookshelves this summer. I requested a copy of this book from the publisher as I was very eager to read this book. 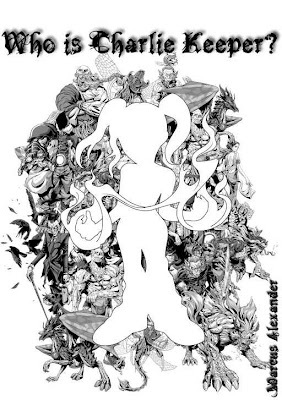 I'd heard secret whispers about The Medusa Project not knowing who wrote it or what it was. So when it landed in my book pile I had to read it straight away and I was not disappointed in any way. Sophie is writing out of her skin to deliver this page turner. The great thing about the story is the character relationships the jealousy and the growing up and young adult emotions which adds a gripping reality to the plot. 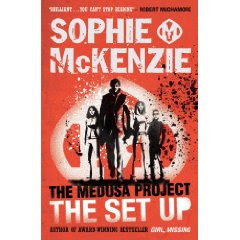 The story is about four teenagers who are all connected by being implanted with a Medusa gene which was injected into their pregnant mothers. The story then goes through a journey of adventure where they discover they have life changing abilities, which they try and come to terms with. I don't want to give much more away to this exciting story. But to sum up, this story is a crazy rampaging teen adventure involving doing what's right in the adversity of wrong-doing. It has great action moments, super goodies and evil doing baddies. This is the first part in a four book project with the second book to be released in January 2010 called Hostage. I'm looking forward to the next installment already. Five out of Five, I'm a new fan of Sophie Mckenzie - great stuff. Fourteen years ago, scientist William Fox implanted four babies with the Medusa gene - a gene for psychic abilities. But Fox died and the babies were hidden away for years. Now the children are teenagers - and unaware that their psychic powers are about to kick in. Cocky, charismatic Nico thinks his emerging telekinetic abilities will bring him money, power and the girl of his dreams. He's about to find out just how wrong he is..
Sophie McKenzie was born in London, where she still lives with her son. She has worked as a journalist and an editor and goes boxing training in her spare time. Her debut children's novel, Girl, Missing, was published by Simon & Schuster in 2006. Her second novel, Six Steps to a Girl, published in August 2007. Three's a Crowd is its sequel. Girl Missing,Blood Times,Six steps to a Girl,There's A Crowd,The One And Only. This is the first book I have read by this author and I have to say I am glad that I did. It was only by chance that I picked it up to read, yet I found it somewhat refreshing. It's a very quirky book, written in the style of Lemony Snicket. It has a twisted dark theme but still with much humour. It is a "keeps-you-guessing" story which really did it for me. The main characters of the book are the twins, Lorelli and Ovid. Their sibling rivalry and burning passion to kill each other motivate them. The book gives great accounts, of each different attempt to terminate the other. From killer bees to killer bears and various cases of food poisoning, making the plot for a crack-pot adventure. The backdrop, of the creepy manor house and even stranger servants, are straight out of the Addams Family. The story builds its devilish ways, as the children find about their parent's strange deaths. Then along comes a crooked lawyer and a devious son adding to the ingredients of the story. There are some great moments, many humorous, in a story that keeps the reader on their toes right to the very end. Four out of a Five, a great read with some interesting mysteries to be solved. Ovid and Lorelli Thornthwaite have been trying to kill each other for so long that neither twin can remember which act of attempted murder came first. But whoever struck first, trying to take each other's lives is simply what they do. Until one day a lawyer arrives at their house to take stock of its contents, and his accompanying son attracts their attention. 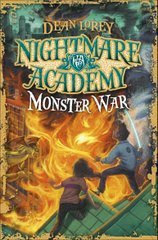 Soon a new battle evolves - one in which the twins have to work together to solve the mystery of their parents' deaths. Can Lorelli and Ovid overcome their old animosities, and will they ever get to finish that game of chess? 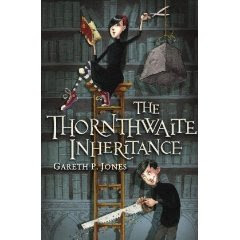 Gareth P. Jones is the author of the Dragon Detective Agency series. Gareth's first novel, The Case of the Missing Cats, was shortlisted for the Waterstone's Book Prize. He lives in London. I wasn't actually aware of this book until I received notification from Random House. The synopsis sounded promising and I was instantly intrigued by the escapology talents of the main character "Max Cassidy" - interestingly (as a side note) do most successful characters have to have short names in this modern day? Anyway back to the book, it was full of description from the escapology acts, to the penetration of the island and then to the final escape. I particularly liked the way Max involved adult characters to help him overcome some of the more difficult tasks. I felt that this credited the story with some realism - at times "the child defeats adult world alone" can become too incredulous. The story was fast paced, intriguing, highly descriptive and well co-ordinated. I liked his special regurgitating effect and the use that this trick played within the story. I was pleased he found the letter from his dad at the end, it helped to engage me in speculating the next adventure. I'm looking forward to this next chapter in his adventurous journey. Four out of Five - would recommend to 9+ and all adults. Max is an ordinary north London schoolboy by day, but at night he performs sell-out public shows as an escapologist - nicknamed The Half-Pint Houdini by the tabloid press. His father, Alexander, was also a world-renowned escapologist, who disappeared two years earlier in the Central American state of Santo Domingo. His body was never found, but Max's mother, Helen, was convicted of murdering her husband by a Santo Domingan court. One evening, after his show, Max receives a visit from a mysterious man from Santo Domingo - Lopez-Vega tells Max that his mother's trial was rigged and, if Max comes to his hotel room the following night, he has something to give him.When Max goes to the hotel, he finds Lopez-Vega dead, shot through the head. The room has clearly been searched by the killer, but what was he looking for? By chance, Max finds a piece of paper hidden under Lopez-Vega's wig. Written on the paper is a sequence of eight numbers - 83521113. What do the numbers mean? Are they a code, or maybe the combination for a lock or a safe? Could they be the key to unlocking the mystery of his father's disappearance and getting his mother out of prison? Paul Adam studied law at Nottingham University and started his writing career as a journalist. He has written ten critically-acclaimed thrillers for a grown-up audience that have sold widely around the world and have been translated into several foreign languages. Reviews have called his adult books "brilliantly imagined, fiercely authentic and wholly gripping" . 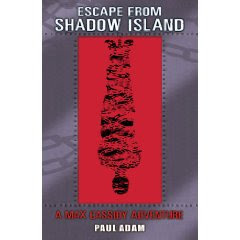 Escape from Shadow Island is Paul's first book for children. He lives with his wife and children in Sheffield. Who Is Marcus Alexander? Author Interview from the writer of Who Is Charlie Keeper? An amazing opportunity arose to ask the increasingly popular author Marcus Alexander a few questions. From the brief contact I have had with him it is clear that he is a man who likes to remain private. Not one for the public domain of "celebriatism" as many authors appear to throw themselves into the limelight. I'd like to thank Marcus for his time and eloquence in allowing a small piece of insight into his thoughts and life. I hope you enjoy reading and learning about the man behind the great book. 1) Who is Marcus Alexander? Could you tell us a little about yourself? Erm....actually a little shy when it comes to exposure so I tend to keep details to a vague minimum. A really vague minimum. I can tell you that I have big ears that stick out at right angles and a fondness for vertical snowy slopes. Oh and I’m a caffeine junkie but don’t tell anyone that okay. 2) Do any of the characters represent parts of personality or personal traits? Yes, there’s a little something of me in many of the characters, particularly the ones that tend to put their foot in their mouth on a regular basis. Or food for that matter too. 3) There are so many different styles of writing in your book. Are you inspired or influenced by any other author/s? I’m more influenced by my years of travel, I find that’s my greatest inspiration for writing. Other writers don’t inspire me as such but if they’re good they sure tend to set my thumbs twitching for a good read and a quiet place to get stuck in to the pages. 4) You say there is a sequel, are you writing it at the moment? When do you see it being in the reader's hands? There is a sequel on its way, ‘Charlie Keeper and the Darkness’ and if I can shunt some of this marketing and distribution onto someone else’s shoulders it should be coming out fairly soonish. 5) How would you feel "releasing" your book to a publishing or film production company if they were to approach you? Hmmm...I think a big smile, the sort that creases your face out of proportion would probably be involved. Maybe some somersaults too. I draw the line at singing and dancing though, a man needs to hold onto some semblance of dignity. 6) Did you have plans and ambitions to become a writer or did inspiration strike you? I used to write a lot as a teenager, put it on hold for a while then took it back up after London lured me back from my travels. Didn’t take the idea of Who is Charlie Keeper? seriously for the first 18 months of writing, it was only after the semblance of a credible story began to unfold that I started to take confidence in the possibility of a literary product. 7) Do public book events fill you with dread or adrenaline? As most writers appear to either love or hate them! iCouldn’t tell you as I haven’t done one yet. I think I could be lured into an event with the firm prospect of fresh filtered coffee, a French pastry and the promise of a fast line of retreat should the need arise. 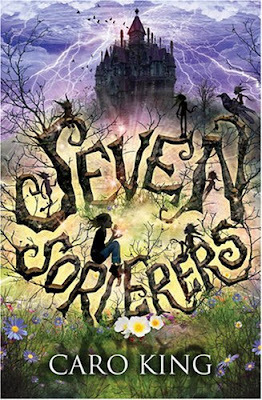 This is Dean Vincent Carter's third young person's horror book. As usual it has a definitive style of writing which parallels with great horror writers within the adult genre. This book has a distinctive theme running through the book which could easily be transcended into a movie. In fact at times I wondered whether it was written with this possibility in mind. The short, sharp horror scenes climaxed throughout leaving very little rest time in between the pages. 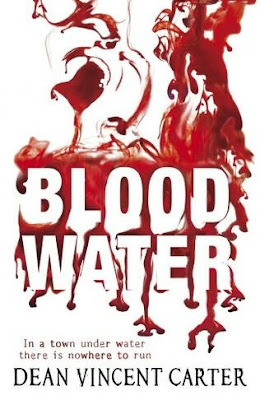 The "flood" created tension which enhanced the infinite danger of the cities inhabitants thus making a gritty and edgy read. The concept of intelligent "outer" life-form versus human life-form is challenged greatly within this book. It raises some interesting emotions about survival and character morality. A thought provoking read with many great horror qualities. Suitable for those who can't normally stomach horror. As the description lends itself to its intended younger audience without being too gruesome. Four out of Five as it is a little bit short, I would like to see Dean focus all of his time to writing as he has amazing potential to be an all-time great. I was born in July, 1976 in the West Midlands and spent the first six years of my life in Bewdley near Kidderminster, before moving to Tenbury Wells, Shropshire where many members of my family still live. At around thirteen years of age I spent one bored Summer afternoon sitting in the back garden of a restaurant where my mother worked, reading a book my aunt had ordered by mistake from a book club. Stephen King’s Misery, wasn’t exactly her cup of tea, but it was, as I was soon to find out, mine. I devoured the novel and found within its pages the inspiration to write my own stories. The first, Revenge, was very much a tentative footstep in the general direction of storytelling, i.e. it’s not exactly my finest piece of work. The story lasted only six pages, (luckily) was very Misery-derivative, and more than a little contrived and predictable. But we all have to start somewhere, and there was as good a place as any. During my last few years of high school I tried a few more short stories, then attempted a book, Carnival, which eventually ended up as a large short story, possibly a novella, about a travelling carnival of genetically modified animals and freaks. I still have a copy of it, typed out on an old Olivetti typewriter given to me by an uncle. Even now the smell of typewriters (a heady mix of ink and metal) brings back memories. Personal Computers will always be my weapon of choice when it comes to word-processing, but they have none of the excitement, the romance, the immediacy of typewriters. Who is Marcus Alexander? Having read this book it has resulted in me asking this question and also questions about the self-published route. I have heard lots of good things about this book but I thought it may be the hype that was turning the wheels but infact this is not so. 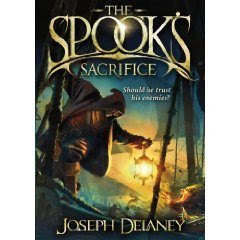 This fantasy epic has all the makings of a classic book which will go far indeed. 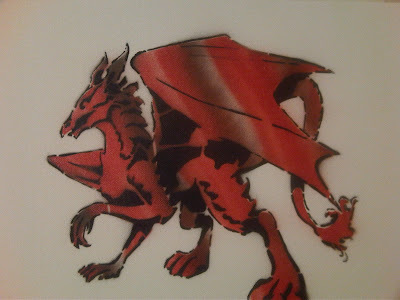 The hero of the book is one Charlie Keeper; boy in name but cool action girl in nature. The book reads like a fantasy dream with all the qualities of a great author. But interestingly it also has a dark side which has hints of Chris Wooding's The Ascendancy Veil trilogy through the visionary description of the dark Bane character. Having all these great ingredients makes this book a special read. A great page turner which should entice and captivate a wide audience. A well deserved five out of five - can't wait for the next installment. 'Who is Charlie Keeper?' 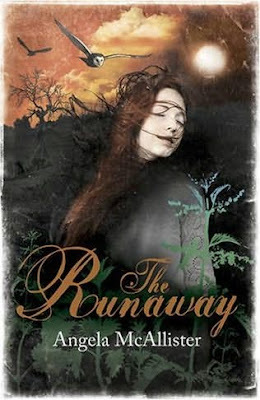 is a shockingly fast paced fantasy novel that tells the tale of Charlie, an iron-willed, twelve year old girl suffering an unjust and unhappy fate. Forced to flee her home in the gloomy, rain-drenched landscape of London by a bloodthirsty and terrifying new foe, she escapes to the vibrant, parallel land of Bellania with nothing more than her common sense and razor-sharp wits to keep her safe. Bellania, a land of myth, magic and marauding giants with bad attitude and poor anger management. With the fate of a world resting squarely upon her shoulders Charlie must learn about her destiny in order to defeat Bane, the Stoman Lord.And even with all the unspeakable betrayals, vicious enemies and terrible odds that are stacked against her, Charlie could probably succeed... ...if only she could learn to keep her big mouth shut and her opinions to herself. Some of the best picks for June 2009. Paris: Dr John Dee has torn the city apart in every attempt to intercept the immortal Nicholas Flamel and Sophie and Josh Newman. Paris' streets are in ruins, Notre Dame is destroyed. Dee has the book of "Abraham the Mage", but he's still missing the two pages the Dark Elders need for the Final Summoning. Without them the spell cannot be cast, and Dee is well aware that the Dark Elders will not rest until they are in power and the human race is destroyed - or he is. London: If Nicholas Flamel hopes to defeat Dee, he must find an Elder who can teach Josh and Sophie the third elemental magic - Water Magic. The problem? The only Elder who can do that is Gilgamesh, and he is completely insane. Mr Ripley's U.S Hardback pick of the Month is. When ten-year-old Scamp Weaver finds a locked chest in a forest clearing, he feels like his life is finally about to change for the better. But he doesn't bargain for just how much change the chest will bring. Inside he finds a dragon egg and a mysterious ancient scroll, which set Scamp and his best friend Dannika off on a harrowing adventure, chased by dragon hunters who want the contents of the chest for themselves. Life gets ever more complicated when the baby green dragon hatches. Will this cute, mischievous hatchling really grow up to be an evil green dragon? Also out early in the U.S is Angie Sages - Septimus Heap: The Magykal Papers which will be released by HarperCollins - 23 June 2009. Enter the world of Septimus Heap with this collection of previously unpublished papers. Schoolboy supervillain, Jake Hunter, has taken his seat on the Council of Evil. Now he will live his dream - exact revenge on the cruel world. But the cruel world has other plans, and they come in the shape of the Hero Foundation. Jake's not scared of the Hero Foundation. He even has a plan to turn it to the dark side. Until it gets a new member - Jake's own sister. Is he really so villainous as try to get her out of the way? The Hero Foundation is a shadow of its former self and Lord Eon - the most terrible supervillain ever - is still at large. Worse, he has hatched a plan to tear apart time. Toby and his superhero friends should be able to stop him . . . but Pete has woken from his coma a different person and Lorna has disappeared. In the titanic struggle that will follow, friendships will be tested and superhero powers strained to the limit as time runs out for the world . . . literally . . . Desperate to uncover the secret of his mother's death, Max Gordon is chased into the night by a ruthless mercenary. His search takes him from the desolate hills of Dartmoor to the endangered rainforest of Central America – where the devastation hides a sinister secret. Drug smugglers, deadly crocodiles, man-eating snakes and flesh-stripping piranhas await Max at every turn. Has Max's quest for the truth led to an answer for which he'll pay the ultimate price?